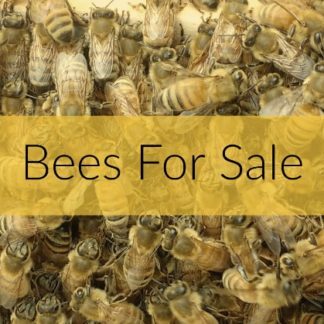 Beekeeper Consultation and Mentoring Service at your Bee Yard. We come out and help you with your bees. Sometimes we need some extra help and advice, so kiwimana staff will come to your site for a personal consultation. This is a great service provided by our helpful and friendly staff who will also share any ‘handy tips' with you to help you manage your hive/s. Please note, Charges may vary depending on your location. I’m really impressed with all the help/advice that Gary and Margaret have given over the time that we have been working together. 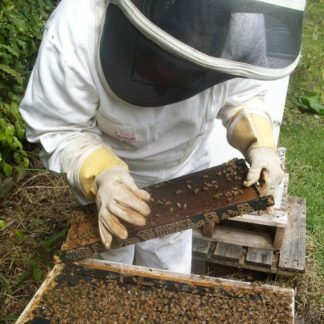 I thought bee keeping was just providing a home for the bees but it is way more than that. I met G & M after my first swarm when I realized something wasn’t right. Ever since then Margaret has helped me take better care of them and improve my own knowledge of bee keeping. Lately I’ve been inundated with my own work and Margaret has taken over to make sure the bees are still happy and safe. Margaret has also treated my bees as there have unfortunately been a lot of mites. Since having G& M on board my bees seem very healthy and happy. Thanks guys for saving my bees! I have met Margaret during my “introduction to bee keeping” at the local college. 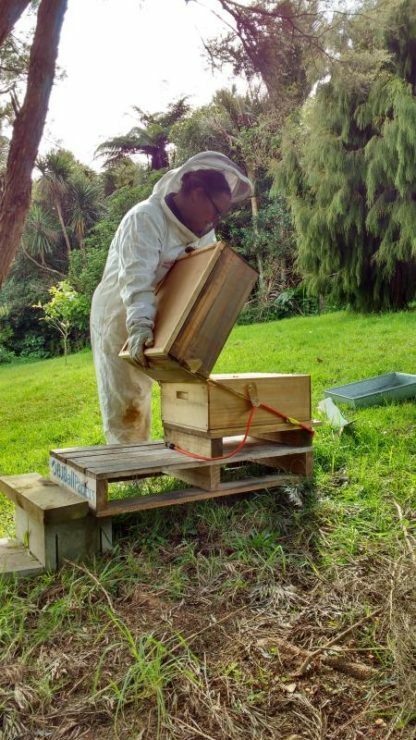 Kiwimana helped me with the purchase of my first hive and the setting up of my apiary in our backyard. Margaret has come over regularly to teach me the art of bee keeping. She is a wonderful mentor, beelover and friend. Margaret is clear in her instructions and despite some hickups on the way my bees continue to go strong. I highly recommend Gary and Margaret for the outstanding service they provide. 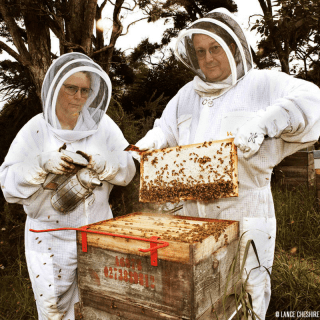 Taking up bee keeping as a backyard hobby is so rewarding with the guidance those two provide. Thanks so much for sending me on this amazing journey ! Margaret has been a pleasure to deal with. Thanks so much for everything – a thriving colony, tools, jackets etc, & for all your help & guidance. Thanks so much Gary for checking our bees and putting in the treatments. Also a huge (and unfortunate) learning curve when we found out that 2 out of our 4 hives had been robbed and attacked by wasps! It’s a real wake up call that even as novice beekeepers its our responsibility to make sure that the bees are checked and protected. 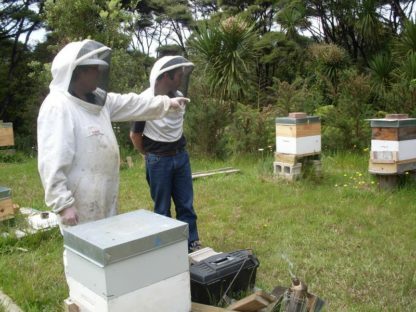 I would recommend Kiwimana to everyone who has bees. Great communication and professional. Thanks! Rating..? Always a top rating with Kiwimana! A Great service and a great knowledge! A top rate hives inspection. 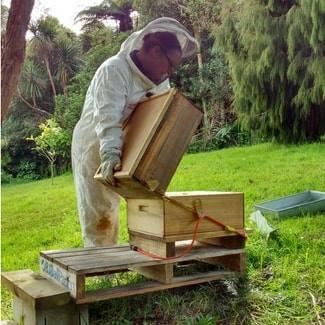 Margaret is very informative and being only a 3rd year beekeeper I learnt a lot. I try to use Kiwimana for ll my beekeeping requirements and can not recommend them enough. I have purchased all the bee setup from Bee suit etc to hive and all associated equipment from Kiwimana and are most impressed with the quality and backup they provide as you will note on the individual items I purchased. Great people doing wonderful things locally and making an impact globally. Garry and Margaret back down the Beekeeping knowledge so its easy to understand and take in for new comers. As for the podcasts there are volumes of really good easy to understand info that will answer a lot of questions and create a few more. After preparing my hive for winter, I noticed the bees were acting different so it was time to seek professional help before the seasons really changed. Margaret to the rescue, arrived promptly and identified the issues. Her manner with the bees,knowledge and skills were amazing. After a hive rebuild and an action plan for the next month, all going well the hive will be winter ready. Thank you Margaret for your time and patience in explaining the problems/solutions to a beginner. I look forward to your return visit and future guidance. Margaret has been my bee teacher for the last eight months & we did a pre-spring assessment early August. Margaret is such a great mentor & I always have a clear understanding of what to do going forward with my bees. 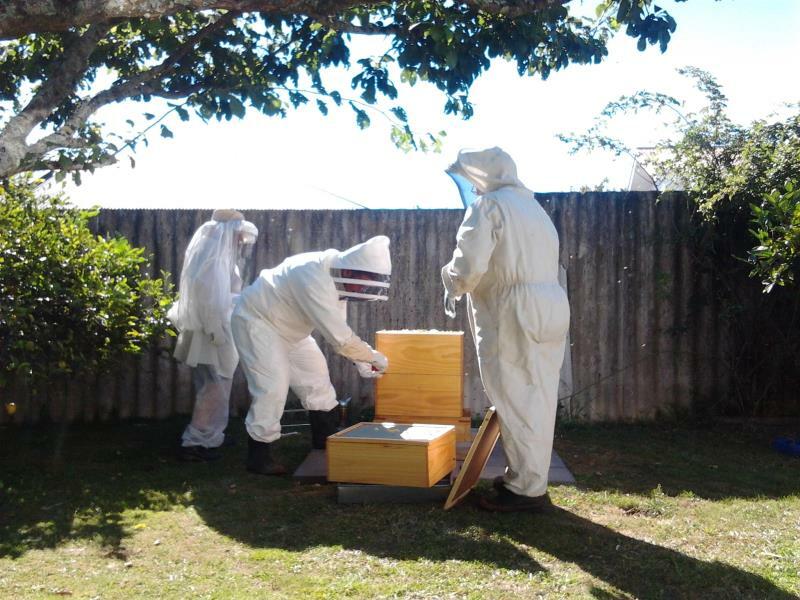 I have been treating the bees regularly to control varroa with oxalic acid which is a really easy process with the Kiwimana mesh board & vaporizer & the bees, the queen & the brood are looking strong & healthy. Thanks Margaret , you are awesome.